Holiday season is certainly in full swing! Thursday’s 31st annual Holiday Stroll was a great way to officially kick off the season in West Hartford, and the festive event that is a “thank you” to the community from merchants and other businesses in the Center and Blue Back Square. Now let’s support those businesses by shopping local this season! Many of the West Hartford Center and Blue Back businesses did a fabulous job decorating their windows for this year’s contest. The winners of the window decoration contest were determined Thursday night at Stroll, and look for that information to be published in the next day or two – as soon as we have photos of all the winning windows. 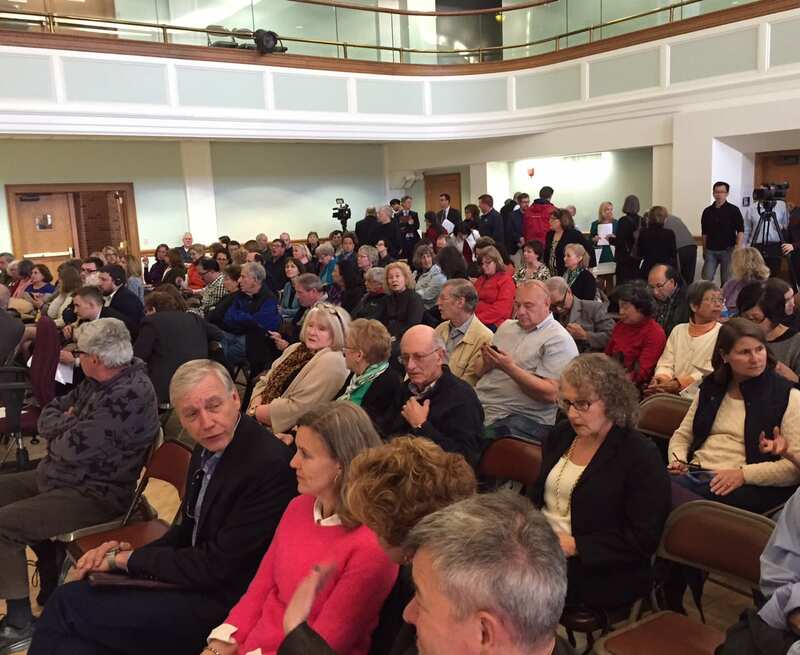 There were two holiday-related events held outside in West Hartford on Sunday in spite of the weather, and I hated the idea of the rain getting in the way of covering them. Rain and cameras don’t mix very well, and I was wondering how I would be able to photograph the Hartford Marathon Foundation Blue Back Mitten Run and Chabad’s Fire on Ice, but the solution I found through Google – using a plastic bag attached to my lens hood with a rubber band as a kind of camera poncho – worked very well and I was about to cover both events! Running this website is definitely not an easy job. It involves long hours and many frustrations, but when I hear stories about it really making a difference, it’s completely worth it. 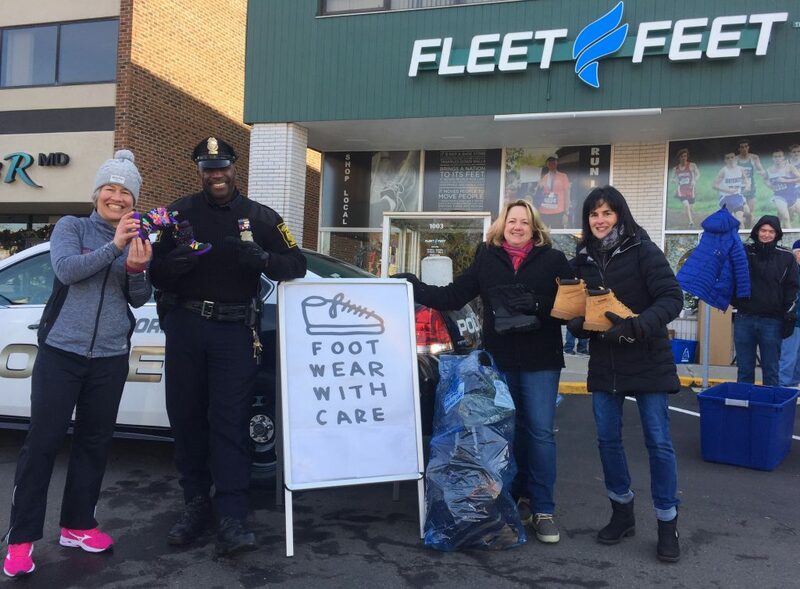 On Saturday, when I stopped to drop off some boots at the Footwear with Care stuff-a-cruiser event at Fleet Feet, I was thrilled when organizer Abby Moore told me that many people had stopped by with donations and told her they read about the boot drive on We-Ha.com! This is the time of year when cookie consumption rises dramatically (that’s an anecdotal comment, but I am guessing the science would support it), and most people can’t resist eating “just a little bit” of that cookie dough while baking. Even those educated adults, who know the dangers of the raw eggs in the dough, often can’t help themselves. 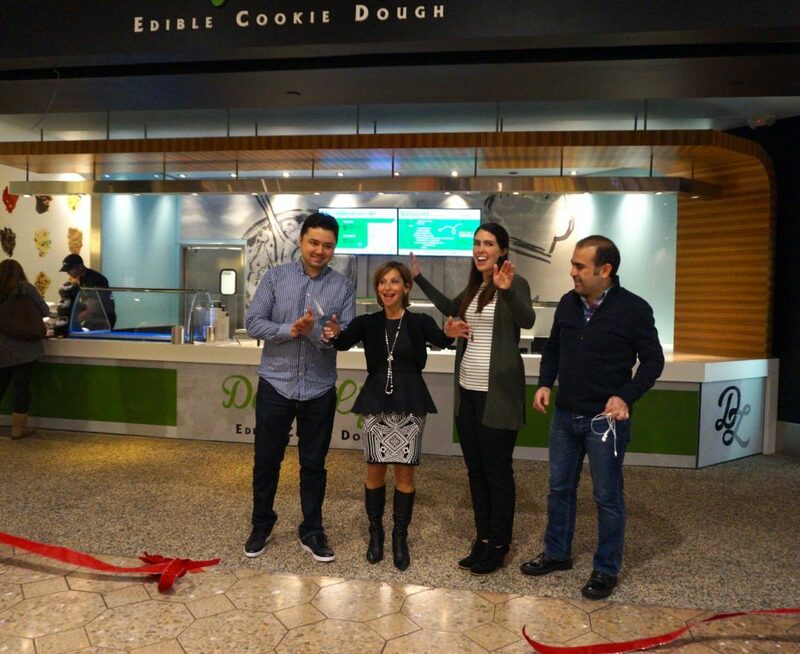 Enter Dough Life – a new business that had a ribbon cutting and opened Friday at Westfarms – with a solution to the cookie dough craving. 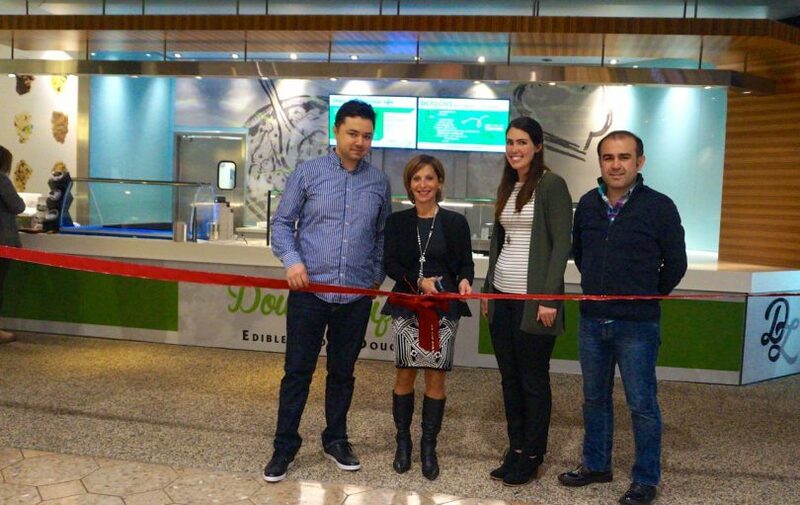 “Everyone has a memory of eating cookie dough from childhood,” said Volkan Bilezikci, who co-owns the West Hartford franchise as well as another Dough Life in Chicago. 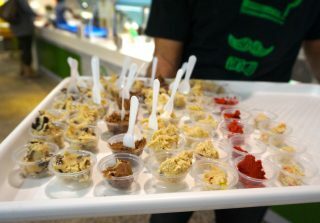 While Dough Life’s edible cookie dough can’t be baked, it’s egg-free and designed to be eaten raw. And, I can tell you from experience, it tastes just like cookie dough. The dough can be taken home and will remain fresh in the refrigerator for up to 10 days, Bilezikci said. 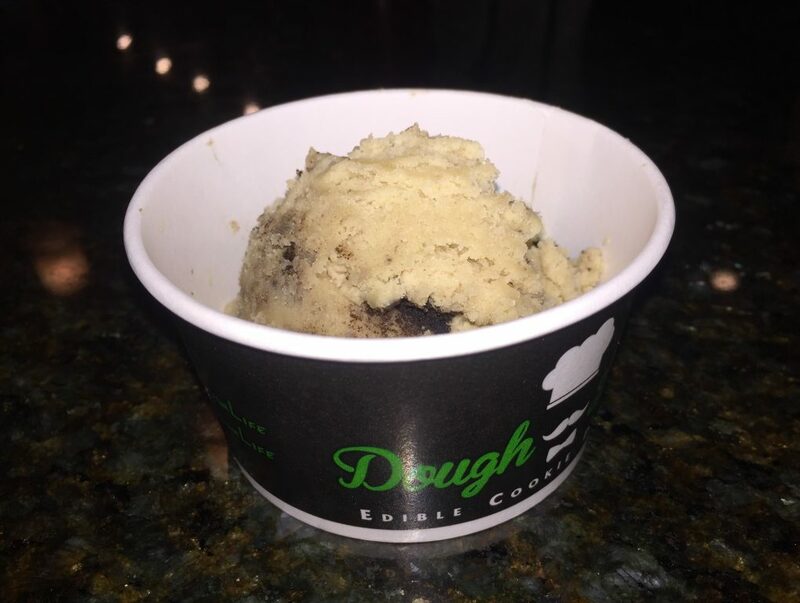 Dough Life also serves a variety of ice cream – in cups, waffle cones, or mixed with cookie dough. There are 12 flavors available at all times (chocolate chip, oreo, red velvet, s’more, brownie batter, and more), as well as some seasonal specials. “It’s another great addition to Westfarms’ unique-to-market businesses,” said Westfarms Marketing Director Ray Lamoureux. The next closest Dough Life is at the Holyoke Mall. 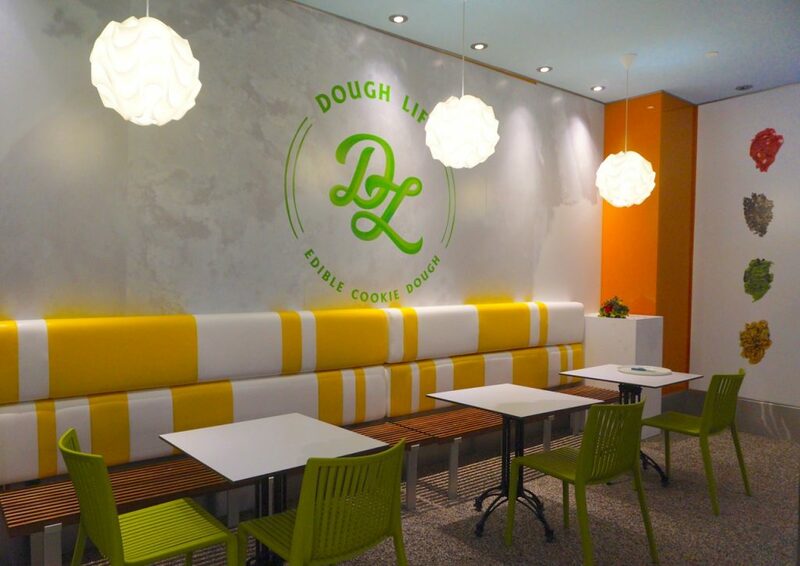 Dough Life is located in the former Pinkberry space, on the lower level next to the Macy’s Men’s store. See additional photos below. The most relaxing ribbon cutting ever was held last week. 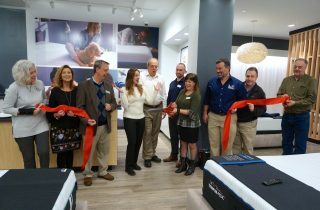 The Chamber of Commerce officially welcomed the Tempur-Pedic store, which opened several weeks ago at 107 Memorial Rd. We all had a chance to test out the super-comfy mattresses and the pillows! I mentioned Footwear with Care in the intro above, but even though the very successful stuff-a-cruiser event is over, the need is still great. Footwear with Care will be holding a winter boot party to distribute the boots to the homeless in Hartford on Dec. 8. To contribute online click here, and to find out more about volunteer opportunities, visit www.footwearwithcare.org. 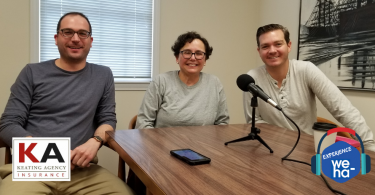 Footwear with Care is a nonprofit program of the Connecticut Podiatric Medical Foundation. Checks can be made out to Footwear with Care, CPMA Foundation and mailed to 1350 Main St., Suite 1508, Springfield, MA 01103-1670. If you are able, please also consider donating toys or gift cards for children of families served by West Hartford Social Services. There was a toy drive held on Saturday at Toy Chest, but since Toys R’ Us closed, that eliminates the stuff-a-cruiser event that used to be held there. 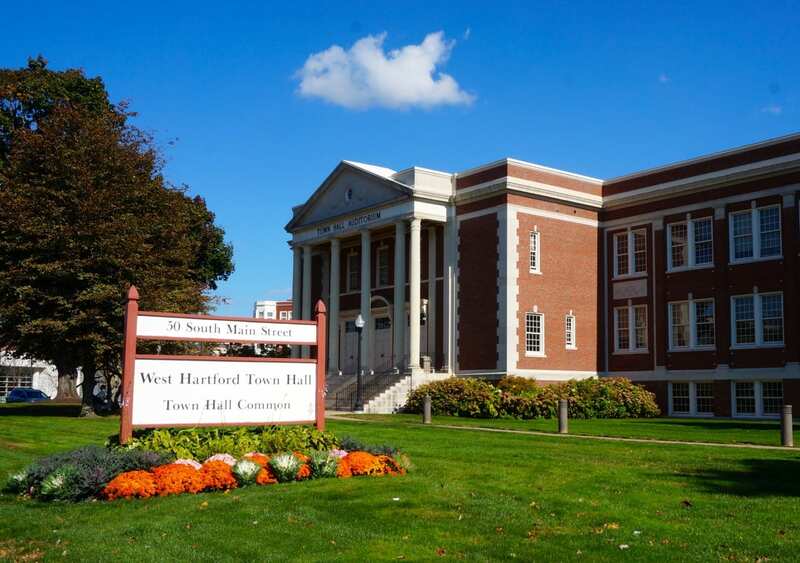 There will be a toy/gift drive in front of Marshall’s in Bishops Corner on Dec. 12, or you can also drop off a toy or check at the West Hartford Police Department to make this holiday season bright for everyone. 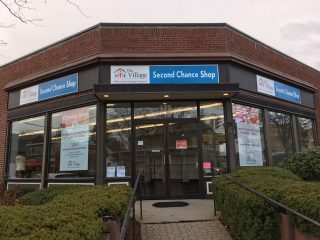 The sign is now up at the Village’s Second Chance Shop in the former Clothes Horse space on Park Road. 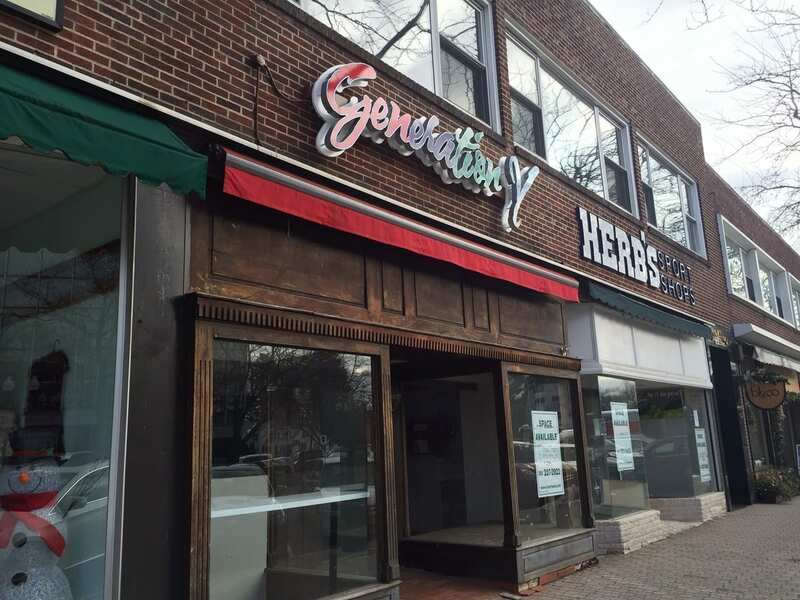 The opening is planned for Jan. 5, 2019, said Associate Vice President of Communications and Marketing Laurel Kelly, but volunteers are still needed to work in the store. See the brochure below for more details. 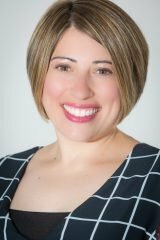 West Hartford resident Ana Davis has been appointed chief communications officer for Miss Porter’s School, Head of School Katherine G. Windsor, Ed.D., announced last week. She will begin work on Jan. 1, and was formerly director of Communications and Marketing Strategy for the Faculty of Arts and Sciences at Harvard University. “Ana Davis has over 16 years of communications and marketing experience in the education sector, but her work history alone is not what drew us to her,” Windsor. “Ana has demonstrated the ability to be a visionary and strategic leader who will amplify our work being done to strengthen women as 21st century change-makers.” Davis said, “I was a women’s studies major in college and launched my career at the Women’s Studies Research Center at Brandeis University. Taking this exciting position at Porter’s feels like coming home and is a once-in-a-lifetime opportunity to share the stories of this institution as it leads the way in preparing girls and young women to shape a changing world.” Davis graduated Phi Beta Kappa from Bates College with a double major in Women’s Studies and Psychology and holds a master’s degree from Boston College in Higher Education Administration. Union Kitchen at 43 LaSalle Rd. is officially opening this Wednesday.The feature story has been in the works and will be published later today. Don’t read it on an empty stomach or you will be even more hungry! 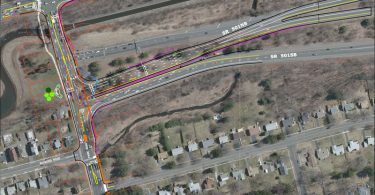 CycleBar (55 Memorial Rd.) is about a week away from opening, so stay tuned for that story, too! 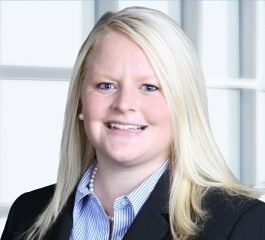 The Connecticut Environmental Forum (CEF), an organization that provides a forum for environmental professionals to share and exchange information and experiences on environmental matters and to learn about the latest issues regarding environmental regulation, has appointed Robinson+Cole lawyer Emily C. Deans, who is a West Hartford resident, to its Board of Directors. Deans is a member of Robinson+Cole’s Environmental, Energy + Telecommunications Group, with clients in the areas of environmental, telecommunications, and utilities law. Ms. Deans represents clients such as telecommunications companies and commercial businesses before state regulatory agencies, including the Connecticut Public Utilities Regulatory Authority (PURA) and the Connecticut Siting Council, and local land use boards. She also monitors and reports on regulatory developments in the energy and utilities field throughout New England. I LOVED the podcast with Chris Gehami. 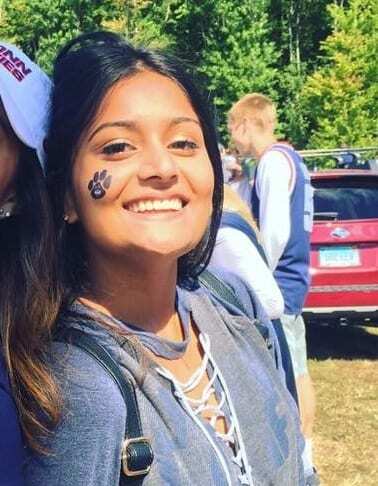 She’s the most exuberant and forthright person I’ve ever known and she’s always entertaining as well as being the best cook in West Hartford.